There is only one week left before the doors open on Digital DNA 2018, the most exciting tech event of the year. A host of big name experts – including Leo Johnson, Jamie Bartlett, Quinn Buchanan, Rock Jacobs, Dr Liberty Vittert and Dan Kiely – are set to appear at this year’s event which will also bring together the tech community from across the world. 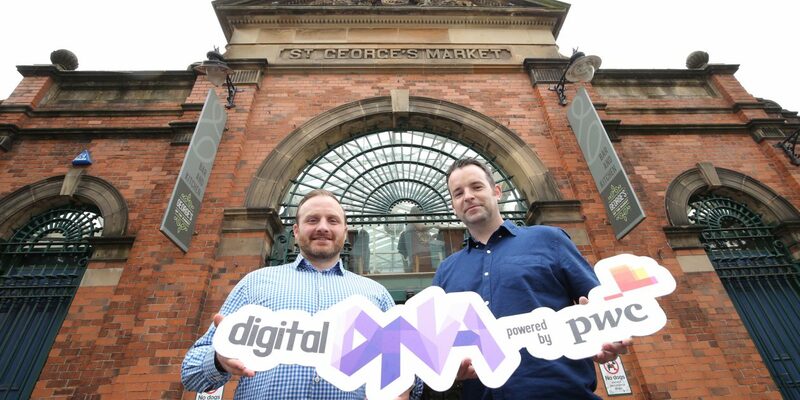 Held in St. George’s Market from 19 – 20 June, Digital DNA will welcome these and a host of other speakers from some of the world’s biggest companies as well as some of Northern Ireland’s best homegrown tech talent. They will deliver keynote speeches, take part in panel discussions, workshops and fireside chats to an audience which originates from across the technology sector. Digital DNA 2018 will showcase Belfast’s prosperous tech sector, covering topics within Marketing, Data, Cyber-security, FinTech, Innovation and DevOps – delivered across an exciting programme of keynotes talks, interactive workshops, panel discussions and a range of exhibitors. For the first time, Digital DNA will be powered by principal partner PwC, with the firm sharing its global technology experience and professional know-how with the Digital DNA audience. Other sponsors include Danske Bank, Kainos, Allstate, The Open University, Convergys and Belfast City Council. Other speakers at Digital DNA include: Noga Tal, Head of Global Strategic Initiatives for Startups at Microsoft; Aoife Caulfield, Emerging Client Solutions UK & Europe at Twitter; Joanna Jarjue, BBC’s The Apprentice; Rioch Edwards-Brown, founder of So You Wanna Be in TV; Naomi Timperley, Director at Tech North Advocates; Sarah Hooper, CRM Director at Edit; Mike Barrett, Founder and CEO of Unosquare; Henry Helgeson, Founder and CEO of Cayan; Kieran Flanagan, VP of Marketing at Hubspot. “Digital DNA has been growing in stature and this year promises to be the best event yet. We have managed to draw some of the industry’s most forward-thinking speakers who will be able to share their experiences and explain how they see the technology changing in the years ahead.